The Air Jordan 10 “Old Royal” has been released recently alongside with the new edition of the Jordan CMFT Air Max 10, which was inspired by the famous colorway of the Air Jordan 10. 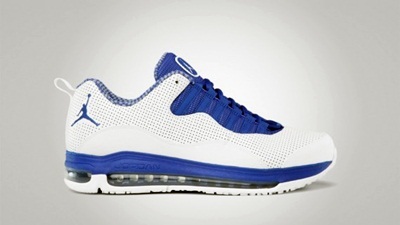 The Jordan CMFT Air Max 10 “Old Royal” is made up with perforated upper part and also features the checkerboard lining similar to that of the Air Jordan 10 along with a patent leather mudguard. Looking for an impressive lifestyle shoe that can also be worn for your basketball needs? This one is highly recommended!